After almost 16 years, and all of my adult life, I decided it was time for a change of hair. It’s kind of like saying a change of lifestyle, or a change of philosophy. More than just a hairstyle, this type of change seemed to carry some weight. Because, for a number of reasons, growing locs is a big deal. But once I could no longer remember exactly what those reasons were for me, the decision to cut my hair was no longer a matter of if, but when. I actually decided before I moved to Amsterdam. I was about to make yet another move to an unfamiliar setting, turning my life upside down yet again for yet again uncertain outcomes. But this move had to be different. I didn’t want it to be only a change of location and circumstances. Because as I’ve experienced, those don’t tend to stick. And in my effort to seek circumstantial and personal happiness (which is what we’re all essentially doing, right? ), I had to think about what could potentially leave me stuck in an old place. My hair? Yeah, maybe. For a long time, my locs grew with me. I was changing, growing, learning, experiencing. And I felt like they reflected me through all of that. As they grew longer, they not only represented the years of commitment I had made, but also the years of life I had been living – good and bad. Happiness, sadness, whatever. I appeared to be a slight variation of the same person. Growth meant change. A couple of years ago I wanted it to stop growing. 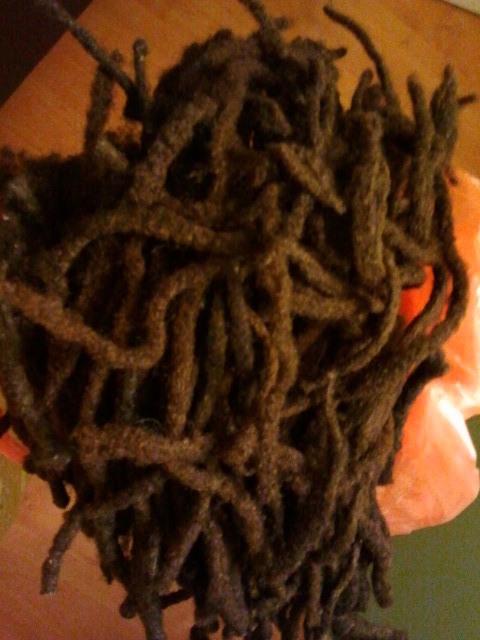 I was beginning to (literally) sit on my locs. And it felt like too much hair. Like I was holding onto it for too long. Why did I have to carry around all of this growth all of the time? The good and the bad all of the time. The happiness and the sadness all the time. They still represented who I was, and who I, and perhaps others, expected me to be. But my locs began to feel like a subtle burden – though only noticeable when I was paying attention. So I cut off 9 inches at that point. I wasn’t ready to let them go altogether. But I had to make it bearable. When moving this time, I didn’t want to feel stuck in an old place. This was a good excuse for something new, my hair included among many things. I would do it when I was comfortable in the new place. I waited until May, when the weather was nice, my apartment was comfortably furnished, and I was confident in school. I picked a day that felt right. 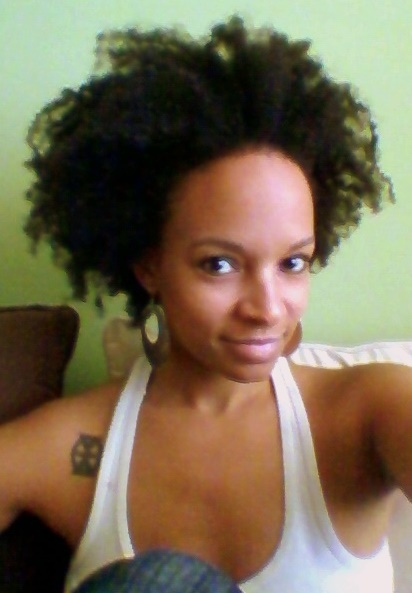 Leading up to it, I wore my hair out every day (dramatic, perhaps). I bought a pair of scissors. And I stocked up on experimental hair supplies that I hoped would help me comb out some hair (going on the advice of my sister and a local friend who have done the same). On the big night, May 13th, I treated myself to some ice cream and wine. 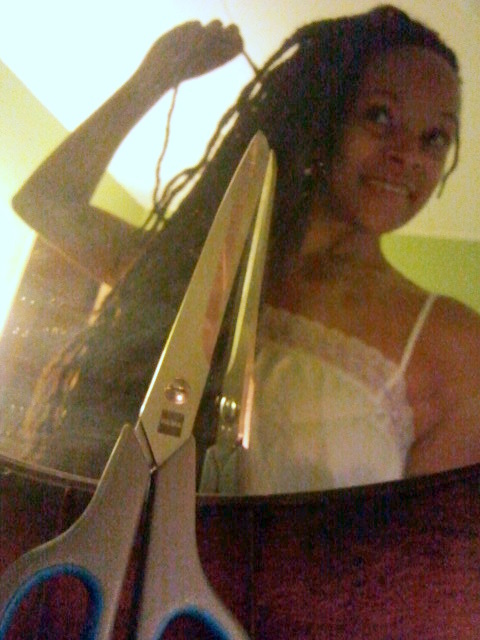 And then I cut off about two-thirds of my locs. The process wasn’t as difficult as I expected it to be. I thought I might cry (I cry when I’m hungry – why wouldn’t I cry over this?). Or I thought I’d have some deep philosophical revelation about the significance of something. But I didn’t do any of that. I did, however, have immediate regrets. Not the deep kind – the shallow kind. The “oh my goodness, I’m hideous” kind of regrets. I didn’t know what I would look like without locs. But I was pretty sure it was hideous. So yeah, not the profound reaction I’d like to say I had. Hideous or not, there was no going back. I worked on it every day for the next 7 weeks, wearing hats and wraps whenever I went outside. 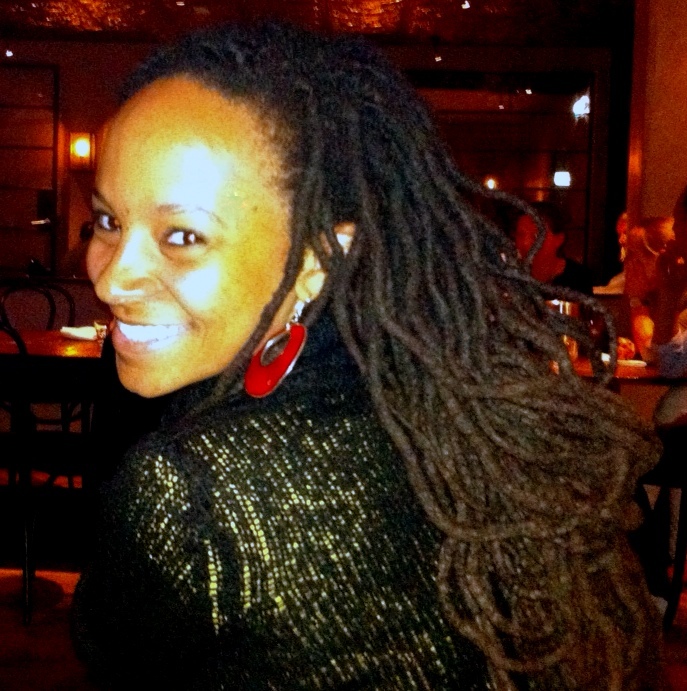 I usually left out a few locs to deceive people – but no one noticed either way. Through all of the final paper writing and break-times, I was plucking away at my hair, loosening up locs, and slowly revealing my free hair. I finished the last one on Thursday night. It was just a relief to be finished with the process, which was stripped of any emotional ties after the first night. Going outside for the first time with an exposed afro felt strange. I wondered if people would react to me differently. And they have. I’m not yet ready to explain in what way it’s different. But something is different. My shadow is certainly different. And my reflection is new. It feels good. A fresh and clean beginning. Reading your post I have had EVERY thought that you had about cutting my locs and wanting that change. I even went so far as to cut my beard off to gain a sense of relief but it is always the short kind. Each day I stepped in front of the mirror I fight/fought myself to cut my hair and the hair has continued to win. I truly thank you for sharing your experience. That’s amazing. I’m glad you can understand. There’s a push and pull that’s so difficult to explain. But my guess is that you know when it’s time – almost physically. Trust your body more than your reflection. You look amazing Dana! Like a model. 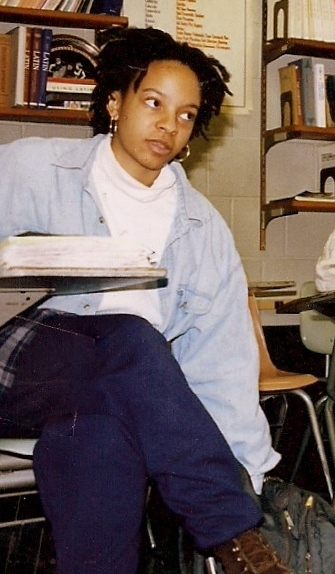 Interesting about not remembering the reason growing locs was a big deal for you. More importantly, though, is why cutting them is a big deal for you now. I’m actually still in a state of shock and awe you cut them. And it took 7 weeks. And how UN-hideous you still are. LOL – Sitting on your hair literally. I always wondered about that. Generously kind. Thank you, David! You really don’t look much older than you looked in high school. I loved reading your blog! Ha…thanks, Mom! I guess it’s good genes. I loved reading this. You look fantastic, both with and without locs! Here’s to new beginnings!! Thanks so much, everyone! Who knew compliments could feel so nice?! I have to cosign with everyone about how gorgeous you look! I kind of know what the feeling was like when parting with my hair. As hard as it is to believe, I once had long flowing locs too! I cut my locs only after about 3 years of growth which was just about collarbone length. I did mine for conformity in the workplace when switching from north california to north carolina. The old white men in the south just wasnt having a brotha with locs in the computer industry. God has been punishing me with baldness ever since.